The airport was build just before and in the first few years of World War II and was intended for both military and civil use. The high-speed road from the airport to the city, constructed in 1942, is, with improvements of course, still in use today. During the war many of the new airport buildings were damaged or destroyed. After the War the airport was rebuild for civilian use. Which airlines fly to Budapest Ferenc Liszt International Airport? There are more airlines flying to Budapest Ferenc Liszt International Airport. 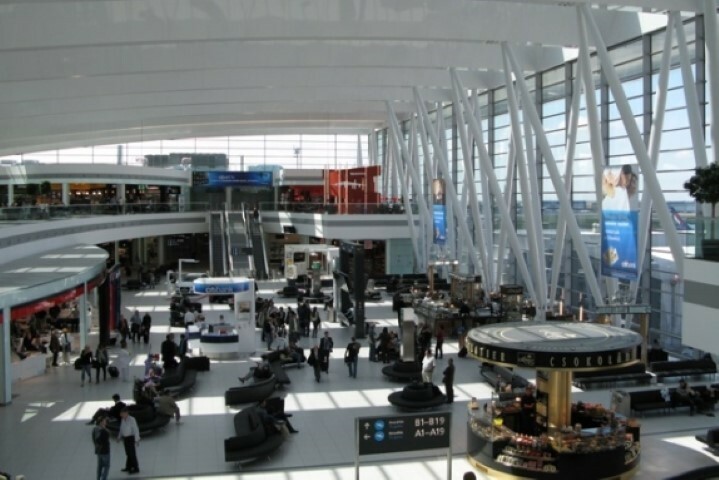 See here for a complete list of airlines flying to Budapest Ferenc Liszt International Airport or look for flights to Budapest. 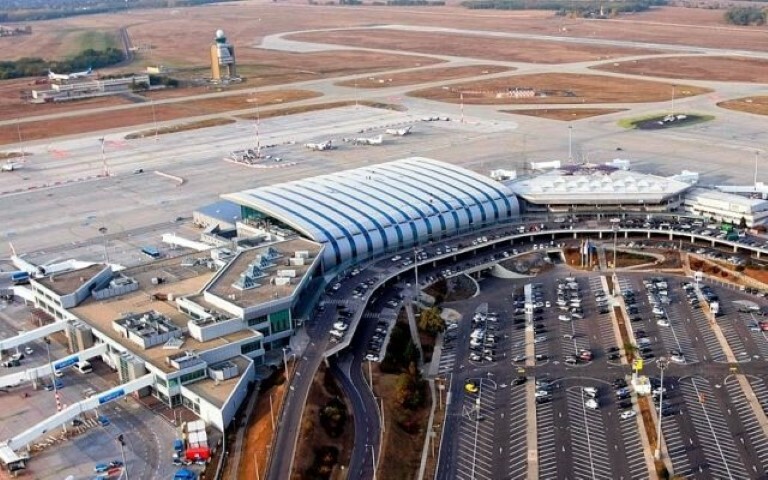 How many runways and passenger terminals does Budapest Ferenc Liszt International Airport have? Budapest Airport was greatly affected by the collapse in 2012 of Malév, the Hungarian national airline. Suddenly the airport lost 60% of its passengers. Although this was quickly made up by Ryanair and Wizz Air taking over the slots of the former airline, so total passengers quickly recovered. But the airport lost the lucrative transfer passengers and aircraft maintenance. 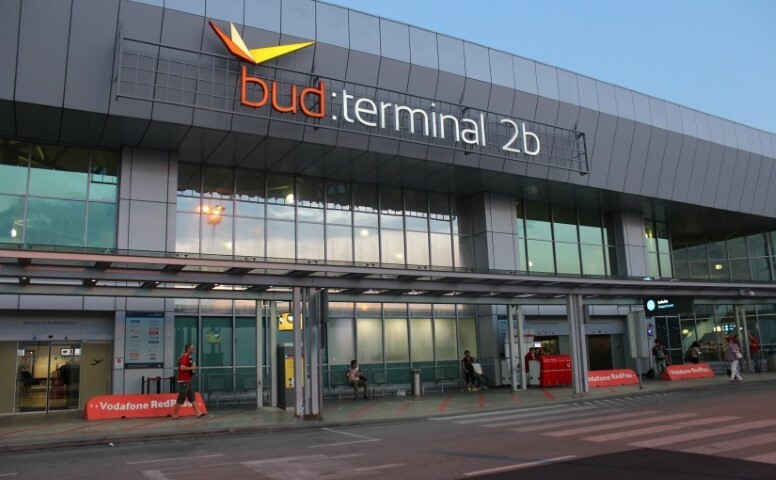 It had to close, temporarily, Terminal 1 and now Budapest Airport uses Terminal 2 only, which is divided into Terminal 2A (For flights to Schengen countries) and 2B (All other international traffic), both are connected by the state-of-the-art Sky Court building, constructed in 2012. 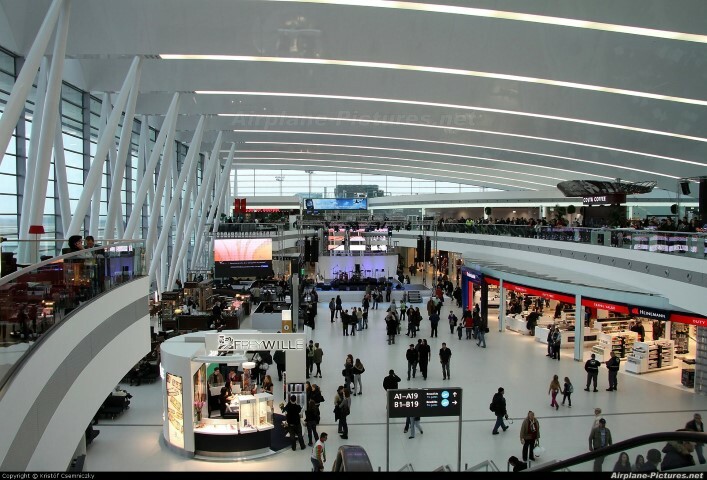 Where is Budapest Ferenc Liszt International Airport located? The airport is located 20 km southeast of Budapest. How to get from the airport to Budapest city centre by public transport? Terminal 2 is not connected to the train or metro network of Budapest. There are plans to extend the rail network but that may take years. The only public transport option you have now is to take bus 200E to the Kobanya Kispest metro station from where you can get on the M3 line towards the city center. Buses depart and arrive between Terminal 2A and 2B on the ground level. Tickets can be bought at the vending machine. These tickets are valid on all public transport of Budapest so best to buy several, also because you would need one for the metro later. The bus takes about 25 minutes then it takes another half hour to get to the Budapest city center. See for tickets and schedule: buses: bud.hu . How much does a taxi cost from the airport to Budapest city centre? Taxis are waiting just outside the terminal and can cost 6000 HUF for the 30 minute ride into the city, expect to pay significantly more during rush hours though. 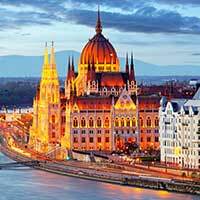 What are popular destinations from Budapest Ferenc Liszt International Airport?